It's such a great design composition. 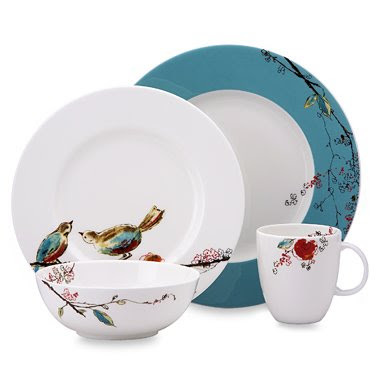 It's very rare that fine china moves me, but heck, maybe I'm just being all hormonal and pregnant, maybe it's a great balance of colors and vintage design. So my husband and I have been working on our spare bedroom for the baby. I am so excited by how it turned out that I needed to share a pic. 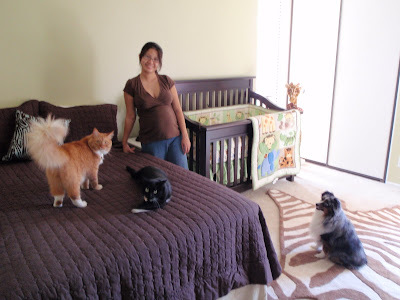 Here I am with our cats and Romeo, my dog, in the redone baby bedroom/guest room. The picture's a little blurry, I know, but it's so rare to have a picture where all my animals are all together. I've been blogging about my experiences thus far and other baby goodness, including redoing the room for baby, on another blog called Oh Baby! Now What? if you want to check it out. There are in focus pictures of the room there for those interested. Enjoy! In Hawaii, March 3rd is Girls Day, and the tradition comes from the Japanese hina matsuri, where, if I recall correctly, girls showcase their doll collection. 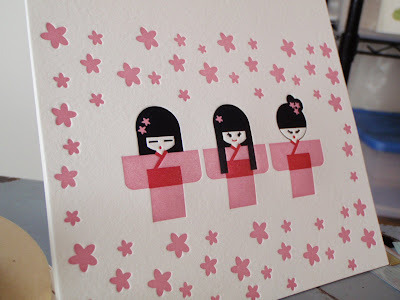 We made a whole letterpress collection inspired by Japanese dolls and this festive day, and what better day to give you a preview of the design than Girls Day? We've yet to score and fold the cards, but here it is in all its cuteness. 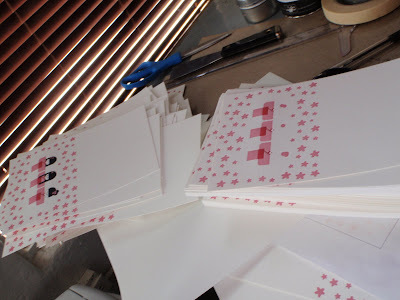 The design was lovingly illustrated by yours truly and is a 3-color letterpress registration nightmare to print. But I do love the design so so much. I can't wait to finish it and pack it up so it can go to new homes! In the collection are Ready-to-Write Letterpress Invites, the A2 card pictured above, flat stationery, and gift enclosures. 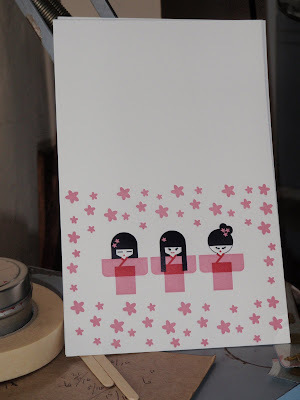 I've also been toying with thank you cards but we'll see. There is also a limited edition 8x10 art print that I'm working on with this collection. More info to come as I complete the collection! Enjoy!